Thank you Laura. I really feel it is special! Happy New Years! I know that kind of paper and love the artwork and the message. 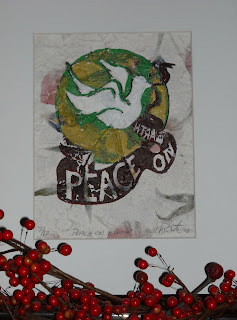 Peace to you & Happy New Year! Patricia, thank you so much for your friendship! Peace to you!